A hard fought defensive match between the first and second place teams in the NWSL, but the Thorn's offense was able to find the back of the net. SCORE: 0-1, min. 50, Horan. The Portland Thorns have become the 2017 NWSL Champions. Lindsay Horan scored in the 50th minute, and the North Carolina Courage could not answer. 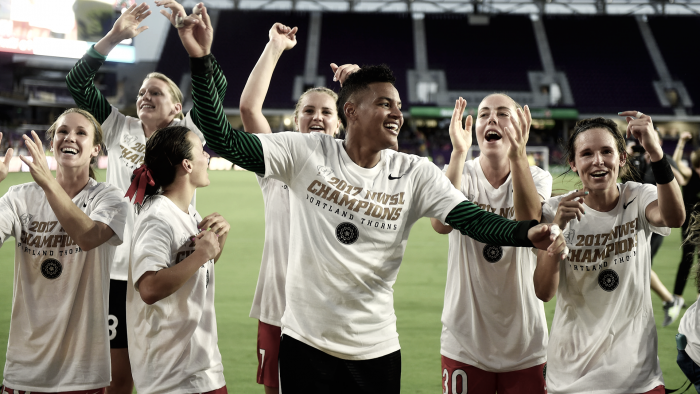 The Thorns have won their second NWSL Championship in front of a crowd of 8,124 at Orlando City Stadium. 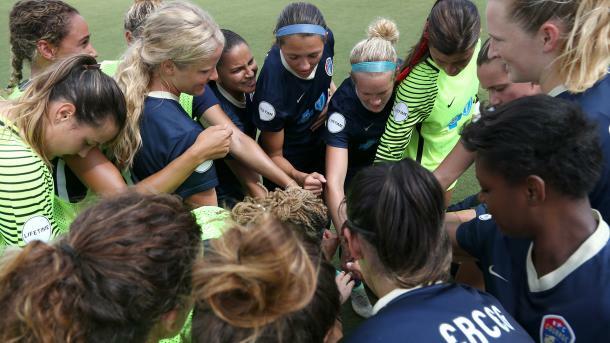 North Carolina dominated throughout the entire NWSL season, only losing seven times. The Thorns struggled throughout the year with injuries and players participating in the 2017 Women’s Euros. The Courage suffered many early injuries that would hinder the rest of their game. Taylor Smith suffered a right arm injury in the opening minutes of the game. She tried to come back into the game, but could not continue and was subbed out for Makenzy Doniak in the 12th minute. The physical battle continued for the remainder of the first half. The North Carolina Courage’s Kristen Hamilton was also subbed out in the 39th minute for Jessica McDonald because of an injury. Shortly after the physicality continued and Tobin Heath of the Thorns was issued a yellow card in the 41st minute. Both team's entered the locker rooms for halftime, without a goal. Portland’s Hayley Raso was also booked in the 46th minute, getting the Thorns second, but not last yellow card of the game. The Thorns were given a free kick in the 50th minute, and they capitalized. Portland’s Emily Sonnett served the free kick from just inside North Carolina’s half of midfield into the six-yard box. The ball went over the heads of everyone in the box and bounced to the feet of Lindsay Horan who was waiting on the back post. North Carolina’s best chances were both created by McDonald. In the 70th minute, McDonald almost capitalized on a dropped ball by Adrianna Franch. McDonald had another chance just nine minutes later when a ball was dropped in the box and Emily Menges of the Thorns was the only defender on her. McDonald was able to get a shot off after bringing it to her left foot, but Menges made a crucial block Portland was able to contain North Carolina for the remaining minutes of the match. After 90 minutes, plus a seemingly never-ending stoppage time the whistle was blown and the Thorns had done it again. The Thorns won their first NWSL Championship in the inaugural NWSL season in 2013. The join FC Kansas City as two-time winners of the NWSL Championship. Horan the only goal scorer of the match was named the 2017 NWSL Championship Most Valuable Player. This NWSL Championship game was the last for Thorns’ players Nadia Nadim and Amandine Henry. Both players are heading overseas for the 2018 season. Nadim is heading to England to play for Manchester City. Henry will go back to her native country of France and play for Olympique Lyon.